This should probably go into castitas.com but I feel like writing on my main blog. 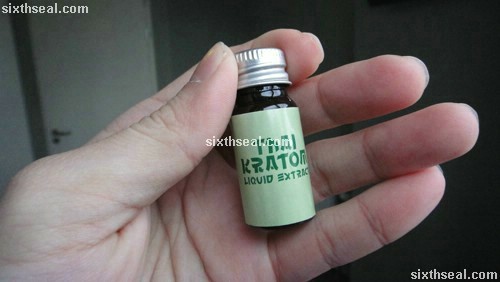 Kratom (known as ketum in Malaysia) is a leaf with psychoactive properties. 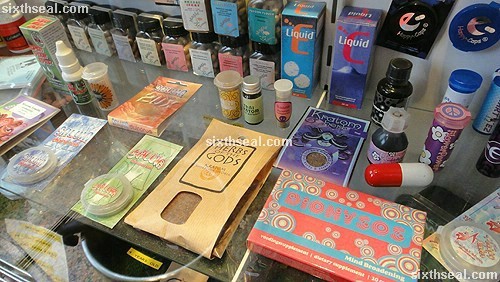 I have been searching for it for quite some time – it’s sold in certain parts of Malaysia (especially in the rural cultivation community) in bags of homemade prepared liquid kratom. Unfortunately, the Malaysian government decided to ban ketum a few years back and the only ones available are highly dubious and sans quality control. To buy kratom online is illegal in Malaysia, which is really unfortunate. 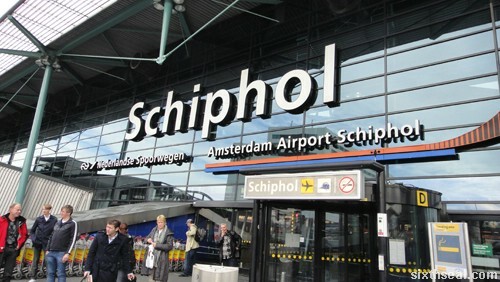 It is rather ironic that I have to travel all the way to Amsterdam to experience a psychoactive plant that is indigenous to MY OWN COUNTRY. 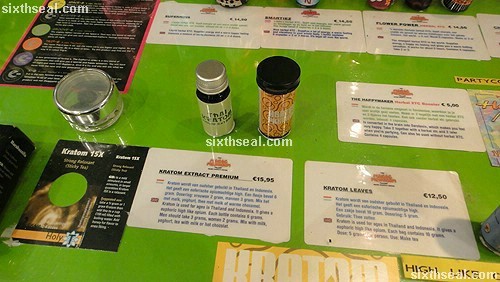 Kratom (ketum) is available in most smartshops in Amsterdam for about Euro 15. This is not your garden variety kratom – much like salvia divinorum, it has been enhanced – this is a 5x extract of kratom. 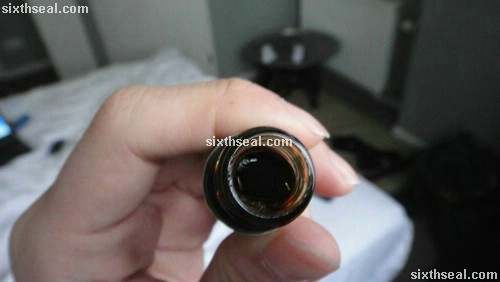 This means that the liquid concentrate is 5x more potent than what is naturally available. I have to be honest here…I’m rather disappointed with the kratom/ketum experience. I had expected too much of an opiate high due to its properties. 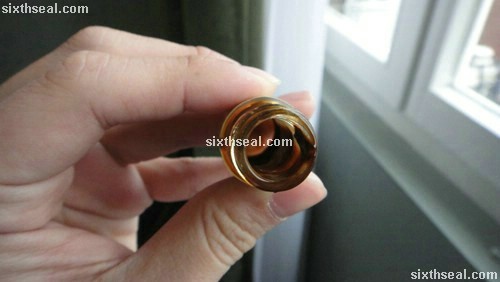 I was told to buy kratom and take half a bottle by the smartshops but I ingested the entire bottle on an empty stomach. 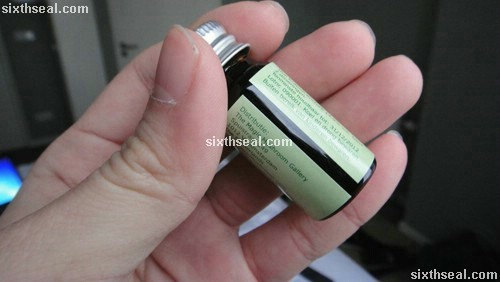 I was expecting something like DHC (dihydrocodiene) or at least plain old codeine. Kratom is not like that at all. I started feeling the effects at T +0:30 (30 minutes after dosing for those unfamiliar with the nomenclature of trip reports) – a general feeling of well being and (surprisingly) serotonin release. It doesn’t feel like traditional opiates (e.g. the nodding off, itchiness and other miscellaneous properties) but more like certain opioid analogues. It should be noted that the effects of kratom is VERY MILD. I shouldn’t have written that in caps (and bolded it to boot, FML) lest people get the wrong impression and think that it’s strong. It’s not. Go in without expectations, consume with an open mind and let the ketum experience wash over you. …just don’t expect too much. I can describe the feeling further to those who are familiar with recreational pharmaceuticals. It feels like 200 mg of tramadol. Tramadol is another substance in the happy opiate family but it produces none of the classic recreational opiate subjective feelings. It’s a bit of a stimulant combined with a general sense of well being. 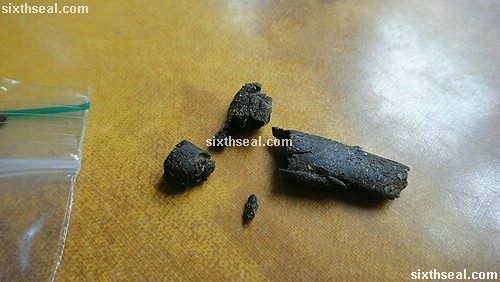 …and that is essentially what kratom (ketum) gives you. It releases serotonin (which won’t go down well with fundamentalist opiate users) and gives you a happy sense of well being for about 4 hours. 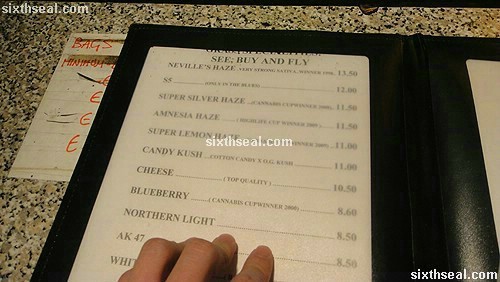 You’ll feel a significant bit of nausea while coming up and crashing but it’s nothing a bit of cannabis won’t fix. The problem with getting used to taking opiates is that you will eventually experience opiate withdrawal symptoms once you stop abruptly. 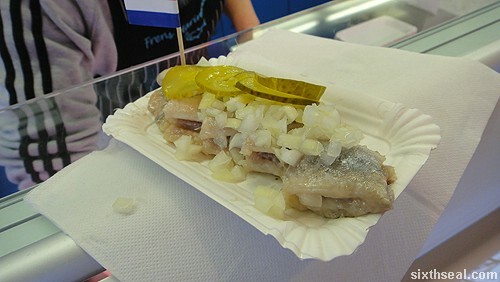 Amsterdam is famous for a raw herring dish served with onions and pickles called Hollandse Nieuwe. 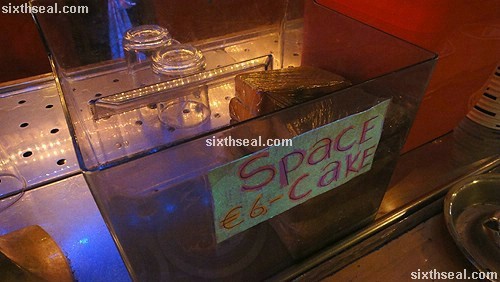 The best ones are usually found in stalls scattered around the canals. 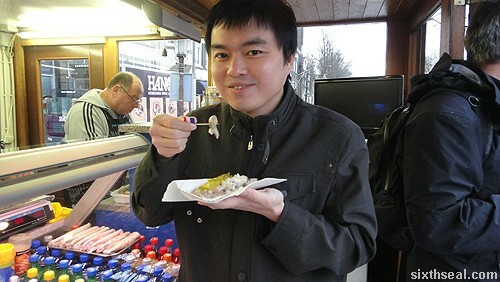 The traditional way of eating herring (as related to me by a Dutch citizen who saw me eating it and asked me what I thought of it) is by taking the tail of the raw herring, slathering it with onions and eating it whole. However, the way herring is served in Amsterdam is sans tail. The herring’s tail has been amputated somewhere during its voyage from the North Sea. Instead, it’s sliced into manageable pieces and sprinkled with raw onions and some pickles. 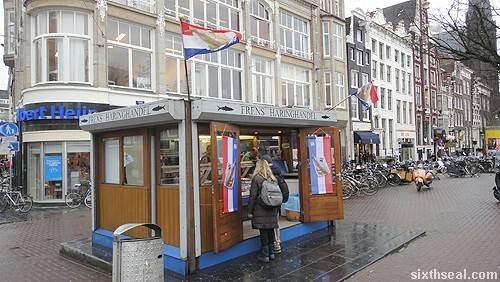 You’re supposed to eat it with a toothpick – mine comes with a nice Dutch flag on it – this is the famous stall in Koningsplein where you can get herring and broodje haring. 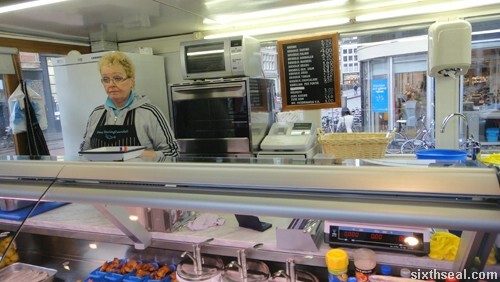 The herring (spelled haring in Dutch) is fresh and this place has a very healthy turnover of customers craving for some raw sea produce. It costs Euro 2.70 (about RM 12) for a whole herring and you can add Euro 0.50 for a broodje haring. 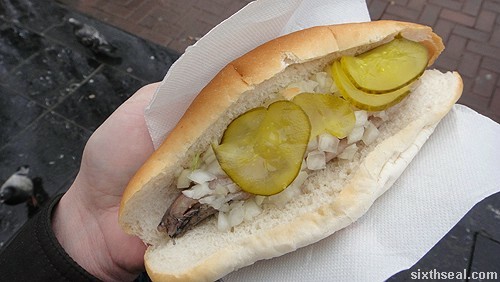 Broodje haring is basically an entire herring sandwiched between a bun. 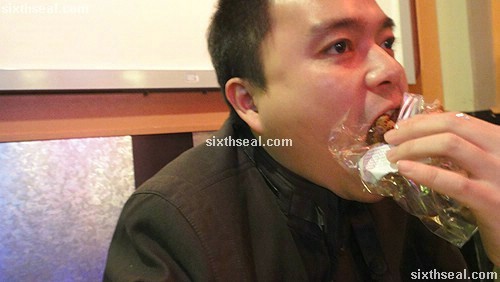 There are two types of buns in Frens Haringhandel – the traditional one is the soft bun. I would recommend eating just the herring but if you need a bit of carbohydrates to fill yourself up, the boodje hearing is a great option. 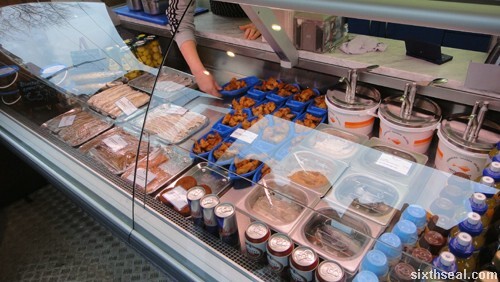 Fresh raw herring in Amsterdam is divine – it’s surprisingly creamy, a word I wouldn’t expect to describe fish. The haring has been deboned and practically melts in your mouth. 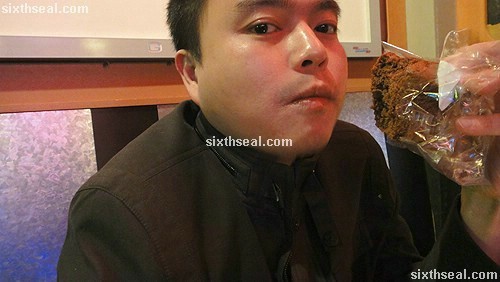 It’s also slightly salty and totally unlike sashimi – definitely a must try if you happen to go to Amsterdam. 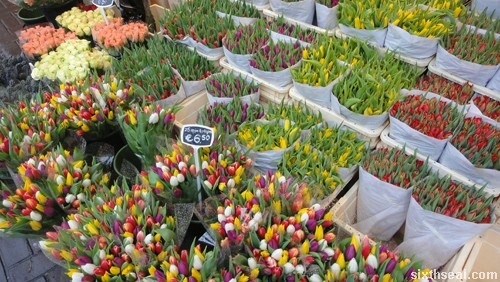 Just look for the Frens Haringhandel stall near the flower market in Amsterdam! 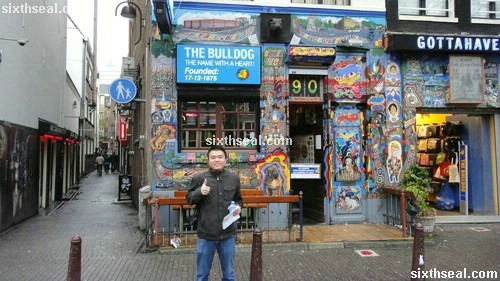 This is a reproduction of one of my favorite t-shirts in Amsterdam. I’m a huge fan of statement tees. It’s quite catchy except for some minor errors since it was printed. 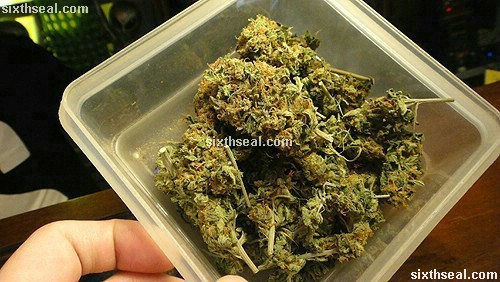 Euro 5 would only get you one of the more common strains of cannabis – Thai Skunk goes for Euro 3 while the perennial favorite (pictured above), the indica based White Widow goes for Euro 8 per gram. 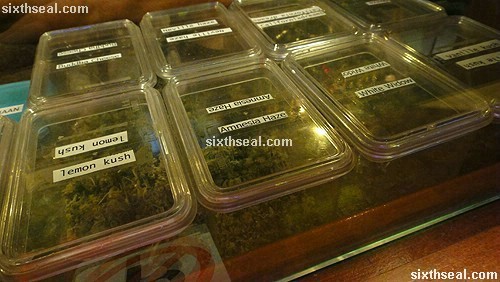 Popular strains and winners from the Cannabis Cup like the Cheese sativa strains will set you back upwards of Euro 10. 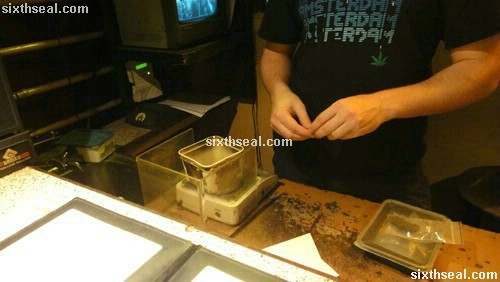 It should be noted that even the most basic strains in Amsterdam is MUCH stronger than the stuff you’ll probably get anywhere else. 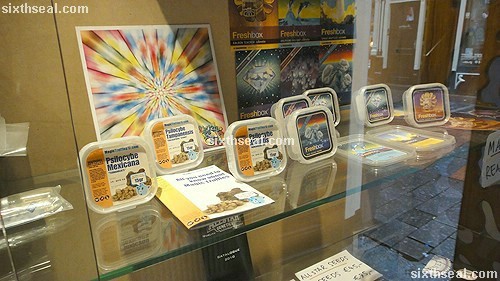 Magic mushrooms has been illegal for quite a while but smartshops get around it by selling magic truffles instead. It’s basically the same thing, with psilocybin and psilocin being the active compounds, but a legal loophole leaves commerce…unmolested. 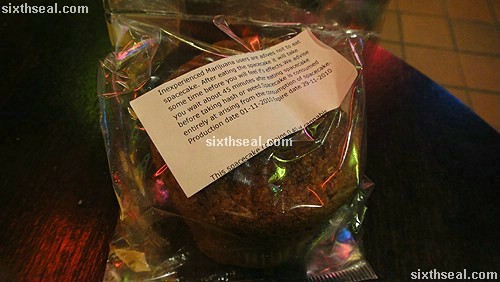 Mushrooms are illegal but spores (for growing) and truffles (the underground bits of the mushroom for eating) is legal. It’s not Euro 15 anymore, but close enough for government work – the “stronger” fungi can cost up to Euro 20 per 15 gram dose box. 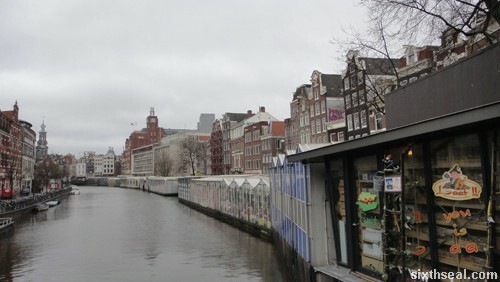 I’m not the type to list down “Sights to See: Floating flower market” in my travel itinerary. I was looking for a smartshop on Singel and bumped into a couple of people purchasing the same items inside said smartshop. 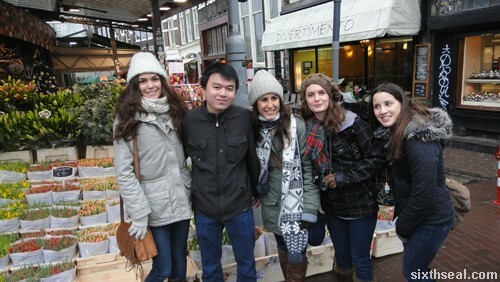 They were the ones who told me about the floating flower market and we went and did the tourist thing that afternoon. Quite a few museums around here. 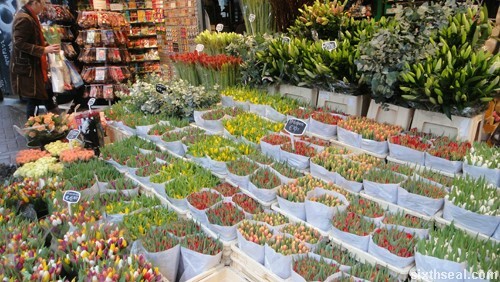 The Amsterdam floating flower market is pretty nice though if you’re into flowers. It’s quite beautiful even, once you’ve had some truffles to enjoy nature. 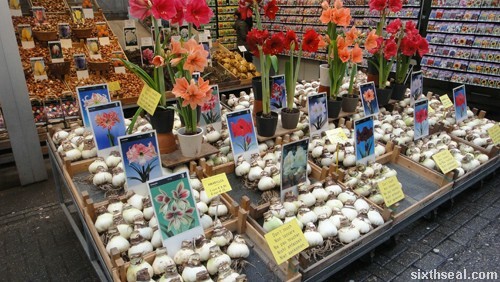 They also have a lot of tulips, it being the flower of Amsterdam. 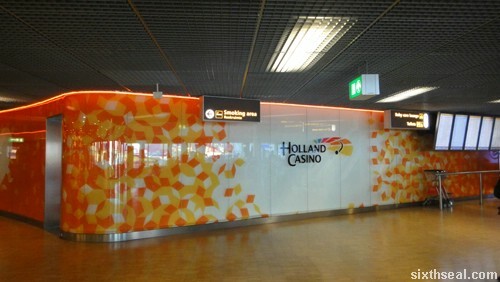 Schiphol airport in Amsterdam is one of the few that has an actual casino inside the boarding area. 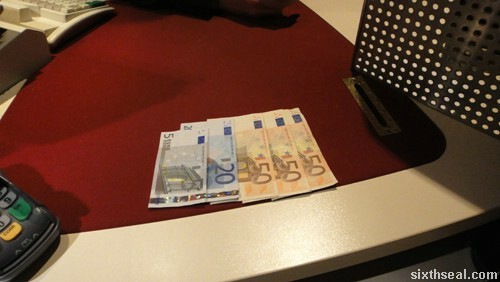 I was flying back to London and decided to spend part of my remaining Euros at the tables since I had nothing better to do. 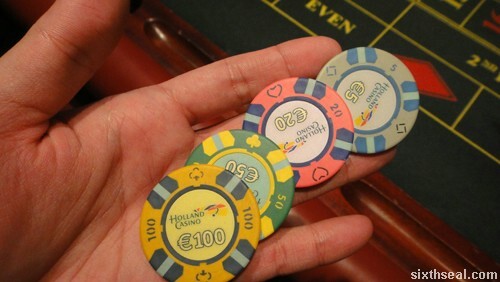 I just had a buy in of Euro 40 and logic dictates that I put everything on a single number if I wanted to have a chance to win back the loss in London. 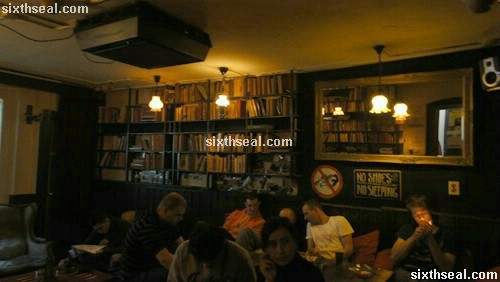 Unfortunately, logic wasn’t working very well due to one last trip to the coffeeshop before heading to the airport. You guessed it. 29. I won Euro 175. Jesus Christ. 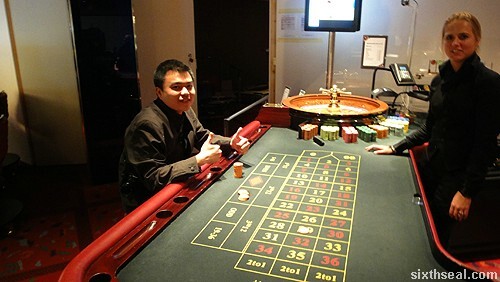 If I had my wits with me, I would have dropped all Euro 40 on a single number since that’s how I usually bet.